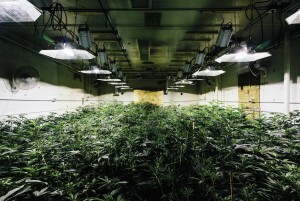 Primarily used in the healthcare industry for air purification, UV light is now helping to reduce mold growth in commercial marijuana indoor grow houses. Using ultraviolet light, or UV, has been utilized for both medical treatment for the prevention and treatment of disease as far back as the late 19th century. Researches first realized the benefits when they experimented with UV light in patients with lupus and sepsis. UV light is still used for medical treatment, but found its real niche is being used in multiple types of applications for disinfection and purification of air. This versatile technology has also been proven to very effective in eliminating mold, so a new application is now starting to be used by marijuana “grow houses” in States permitted to cultivate, harvest and sell marijuana. You probably never considered mold in your weed as a problem from a legal grow house since they are all closely managed and regulated. 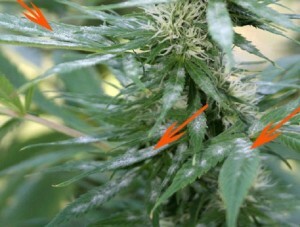 However, since many of these commercial farms are indoors mold is now a recognized problem with commercial grow houses. 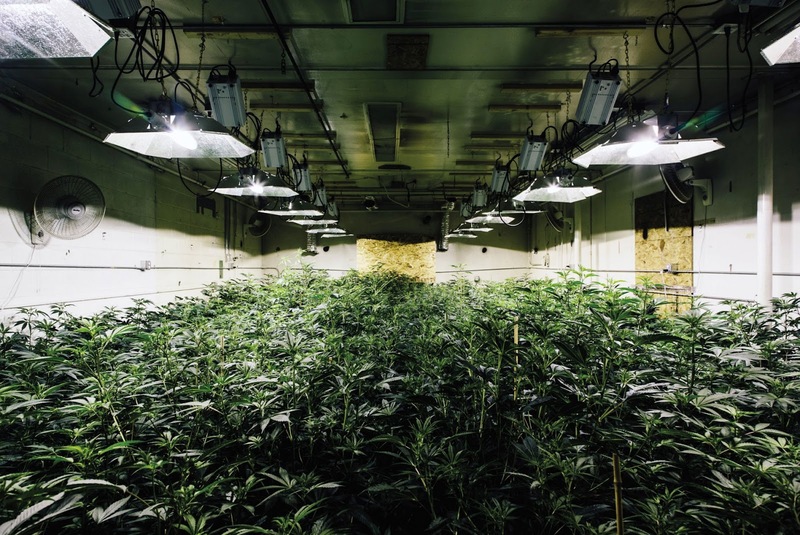 As with any product on the market, the commercial grow houses have to ensure they’re delivering a safe, and in this case, a mold-free product. The problem with mold on marijuana isn’t something new, it’s just the rapid growth and indoor farming which has changed over the last few years. Although, mold is found everywhere, it can be worse inside and prolonged exposure can cause scar tissue to form in the lungs, asthma attacks and for people with weakened immune systems, bacterial infections. Short term exposure to high mold levels can also quickly cause headaches and sinus pain. A recent study reported found penicillium mold spore counts that were between 10 and 500 times above the normal amount in a grow house. This was part of the study Doctor John Martyny, Ph.D., a retired industrial hygienist and lead author of a study titled “Health Effects Associated with Indoor Marijuana Grow Operations”. Penicillium is genus of molds found everywhere world-wide. The name Penicillium comes from the resemblance of the spore producing structures (conidiophores) of the fungus to a paintbrush. They are found in soil, decaying vegetation, air and are common contaminants on various substances. Certain species are known to produce toxic compounds called “mycotoxins”. The report issued by Martyny was based on following police officers on raids at 24 marijuana grow-houses with other doctors and scientist to document the indoor air quality. Dr. Martuny stated, “Essentially what’s happening is you’re just providing an incubator and growing mold”. Of course, these were illegal operations, but it goes to show how if air is left uncheck mold spores grow, and they can easily travel room to room, and even between attached buildings if the air ventilation systems are connected. Chances are if you’ve ever smoked marijuana more than a couple times, more than likely you also inhaled mold spores with no detrimental effects, except for maybe the munches. However, for someone who has a weakened immune system or other health problems, mold could be a health hazard so knowing whether your source has an airborne disinfection is important. 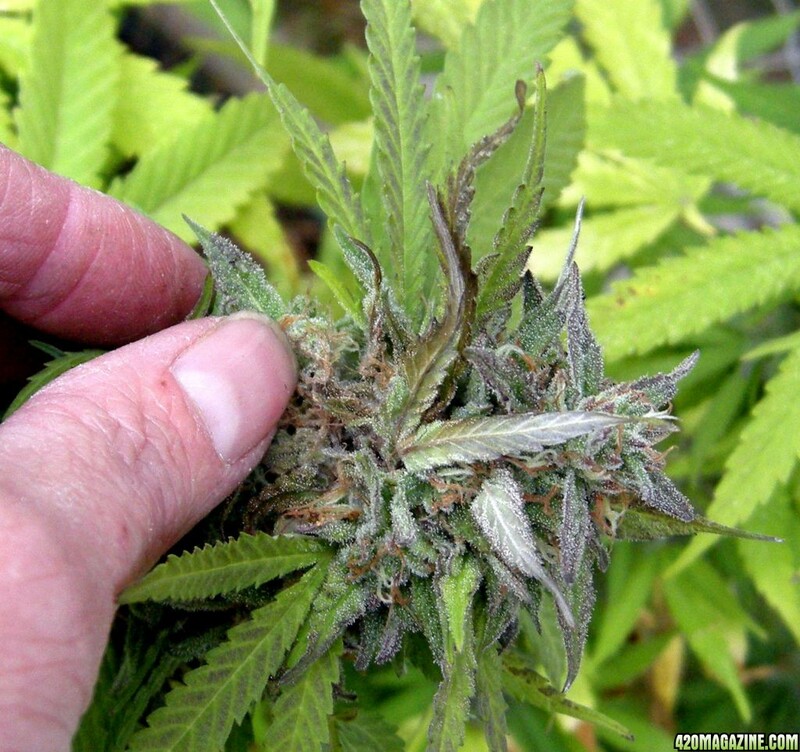 By the way, it’s nearly impossible to know by just looking at a marijuana bud if it has mold. You would really need a microscope and black light to see the distinctive green hue under the black light. Privatized and legally commercial medical marijuana grow operations are in generally much safer since these facilities are subjected to annual inspections and reviews. Nonetheless, any mold growth could present a health hazard. Although, State licensing standards require marijuana growers and the manufacturers of marijuana infused product to “take reasonable measures and precautions” to store the drug in a way that prevents the rapid growth of microorganisms, but this is very subjective. Mold develops on marijuana are almost always due to moisture and humidity. This could mean poor ventilation in a closed in facility, or it the pot is packaged in air-tight containers while there is still a lot of moisture in the buds. Since commercial grow houses tend to be large, this means more plants, which allows more chance of mold growing and spreading. The same ingredients which help with high yields also help create a perfect environment for mold to thrive in. One of the problems in the marijuana grow industry is the laws are still trying to catch up with the growth. Most, if not all of the universal building code manuals make no mention of indoor marijuana grow operations at this time, which is surprising as this industry just started to explode in the last couple of years. It’s in a business best interest to provide a safe product by keeping their grow facility clean and mold-free, but without regulations regarding air quality when it comes to microorganisms (mold) it’s difficult to know which grow house has implemented technology like UV light to reduce the growth and transmission of mold. Most commercial growers take extra precautions in preventing mold, but many have yet to utilize one of the best and most effective air technologies available, UV germicidal air purification systems. Although, there is a lack of guidelines for the design of ventilation systems for commercial growers of marijuana outside of using “clean room” type ventilation systems, this doesn’t help as much as using a germicidal UV system which destroys the harmful mycotoxins associated with mold. One of the latest and most innovative UV air purification systems being used to help eliminate mold growth in commercial grow houses is called the “Purealizer”. Designed, primarily for the disinfection of airborne pathogens in healthcare facilities, the Purealizer™ PR-UV01 is one of the best technologies for controlling aerosol and microorganisms and is now being utilized in grow houses. The Purealizer™ combines powerful disinfection using UV light at the germicidal wavelength combined with photocatalytic oxidation which completely destroys microorganisms and other infectious pathogens which can be found in grow houses. The system is also effective in destroying volatile organic compounds (VOCs) which can also be present in grow houses. Placement of any air purifier is an important factor influencing effectiveness of controlling and disinfecting airborne microorganisms and contaminants. Studies have found that the location of an air cleaner in a room as well as the level of air mixing resulted in statistically significant changes in performance of air cleaner. For this reason, the Purealizer™ PR-UV01 is centrally mounted in grow rooms and works 24/7 to draw in air for disinfection. The Purealizer™ is capable of sanitizing a 10’ ft. x 10’ ft. area with 8’-ft ceilings which has 800 cubic feet of air in one hour several times over. The Purealizer™ can be easily mounted into any type of ceiling support system, or can be hung like grow lights are from a set of small chains without any drop ceiling. Once powered up air is drawn in constantly at an average of 33 cubic feet (cfm) per minute and passes through the irradiation chamber for disinfection. Recent design modifications of the PR-UV01 allows the device to be quickly relocated without all the headaches and cost associated with rewiring or hiring an outside contractor. Providing powerful air purification and cost-effective, the Purealizer™ system is finding a new niche outside of the healthcare industry by ensuring safe production of marijuana from your favorite legally licensed grow house. As marijuana becomes a more accepted form of medicine for seriously ill patients, mold education becomes even more important for care givers, healthcare workers and government regulators to insure patients are protected from the effects of mold might have on them. Please feel free to contact us for find out more about the Purealizer™ PR-UV01 and where you can locate a dealer in your area. Contact us at www.Info@Purealizer.com. Be sure to ask your grower if he’s using the powerful purification of the Purealizer.